No matter if you are looking to change careers or simply love ice cream, there are many perks to starting your own ice cream business. Depending on your budget and available time, there are many ways you can get started in your own ice cream business. Planning on opening up your own shop? Maybe you’re looking to teach your children the value of a dollar through an ice cream stand? No matter how serious you are about starting your own ice cream business, here are five steps to help you hit the ground running. If you want to ensure the utmost success for your new ice cream business, the first thing you’ll need to do is start a business plan. A business can include anything from your budget to your ingredients to your flavors. This is basically the blueprint of your business. It will let you see all your wants, goals, and current accomplishments all on one piece of paper. Starting your business plan is the hardest part, but once you get started, you’ll be able to jump start your business without any qualms. As briefly mentioned before, no matter what type of ice cream business you decide to start, you’ll be able to reap a series of endless benefits. If you are looking to start a serious business, it might take you a bit longer to get started, as there are legal requirements you must meet. 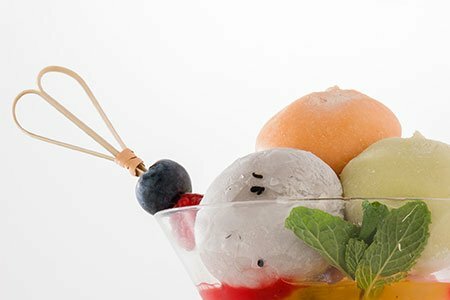 If you’re thinking of simply selling mochi ice cream to friends and family, the process won’t be as lengthy, but there will still be some hoops you will have to jump through to get the ball rolling. If you’re setting up your own shop, whether that’d be in an actual building or mobile business, you have to make sure it’s legit. Get the proper licensing for your ice cream business through your city’s legal division, health department, sales tax agency, and if you plan on having employees, your state’s employment department. Remember, you’ll have to wait until all of these documents are approved and created before you start selling ice cream. Do you need a bigger kitchen? Maybe your mixer has seen better days? No matter what products or supplies you’ll need, now’s the time to get them. Your business is only as good as it’s equipment, so be sure not to skimp out quality when you’re choosing your new business’s materials. See what other wholesale ice cream companies in your area use and what distributers they work with. This will help shorten the research time and help you open your doors for business faster. Step 5: Start Selling Wholesale Ice Cream! You’re just about ready to open your doors! You have your plan, you’ve made your business legit, you have all the right equipment, and most importantly, you have your secret recipes ready for creation. All you need to do now is get people eating your ice cream. Throw a party, send out a coupon, join your local chamber of commerce—any of these are a great way to get your name out there.